Market Leader, Quarter 1, 2017. Perhaps more than ever any other time in history, employees – especially Millenials – are looking for a more meaningful work experience. Conscious of environmental and other social issues as never before, they struggle with trying to do well but also to do good. 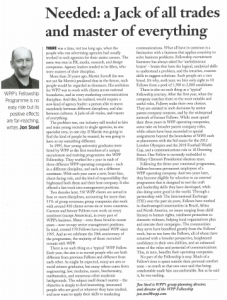 This is a challenge to employers, who typically meet this need by supporting social values as a company or go further by allowing employees free time to work on charitable enterprises. leadership. 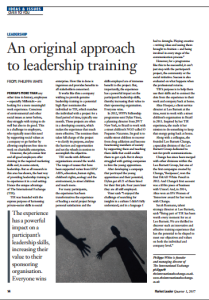 But as all research in this area has shown, the best way of providing leadership training is to experience it in a real setting. 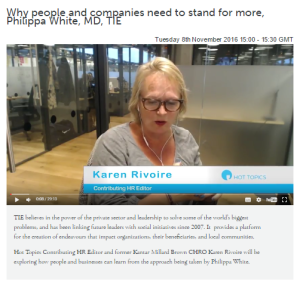 Hot Topics Contributing HR Editor and former Kantar Millard Brown CHRO Karen Rivoire explores how people and businesses can learn from the approach being taken by Philippa White. Philippa tells us about The International Exchange. After a successful career working with some of the best advertising agencies including Leo Burnett and BBH, Philippa created TIE in order to leverage the skills of professionals in the communications and marketing industry and put them to use for the benefit of non-profit organisations, often based in developing countries, and help them make a difference in the world. There was a time, not too long ago, when the people who ran advertising agencies had usually worked in such agencies for their entire careers. The same was true in PR, media, research, and design companies. Agency leaders tended to be lifers, who were masters of their discipline. More than 20 years ago, Martin Sorrell (he was not yet Sit Martin) predicted that in the future, such people would be regarded as dinosaurs. 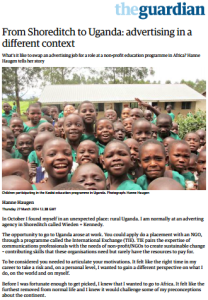 What’s it like to swap an advertising job for a role at a non-profit education programme in Africa? 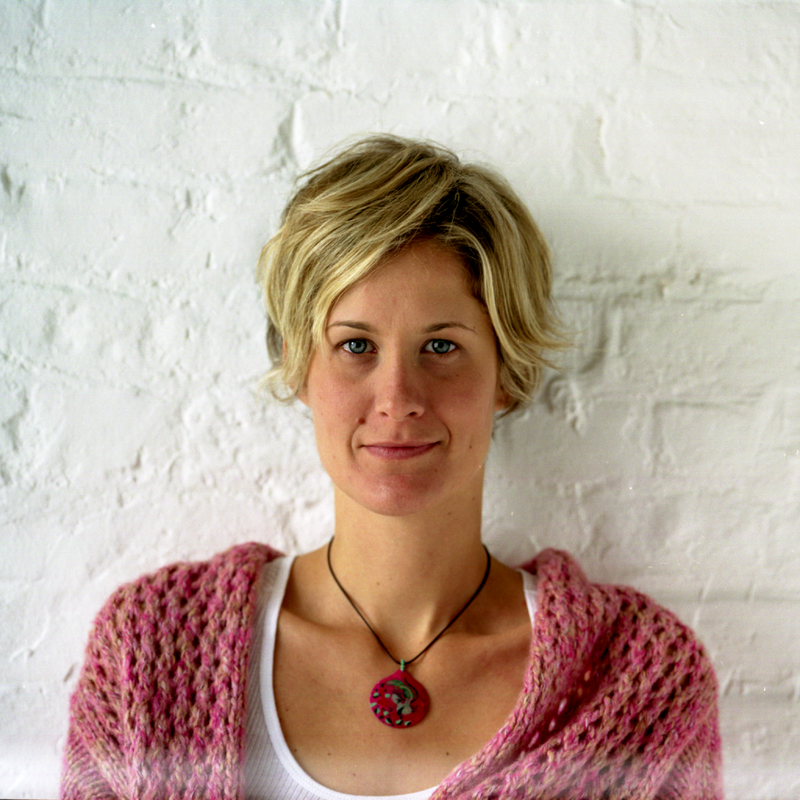 Hanne Haugen tells her story. 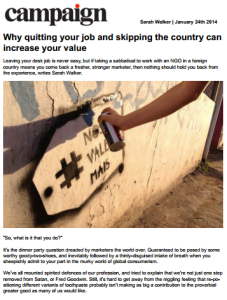 Leaving your desk job is never easy, but if taking a sabbatical to work with an NGO in a foreign country means you come back a fresher, stronger marketer, then nothing should hold you back from the experience, writes Sarah Walker. 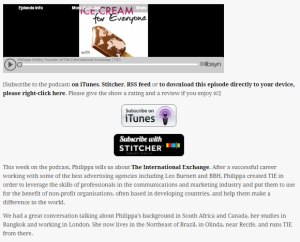 Philippa White, Founder and MD of The International Exchange. Click the image for the high resolution file. And click here for Philippa’s bio. TIE believes in the power of collaboration and leadership to solve some of world’s biggest problems. We link future leaders from the commercial world with social initiatives across the globe and provide a platform for the creation of endeavours that impact organisations, their beneficiaries and local communities. To change the world, one brief at a time.